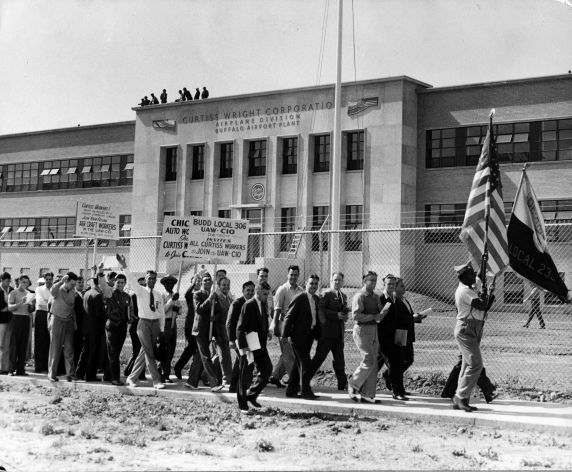 UAW members, in town to attend the 1941 Convention, take time to help organize the Curtiss Wright Corporation, Airplane Division, Buffalo, New York. Represented are members of General Motors Local 235 (Hamtramck, MI), Budd Local 306 (Detroit), and an unidentified Chicago Local. Notation on back of the photograph reads: "Entire convention recessed and went up there in a body- a long walk."